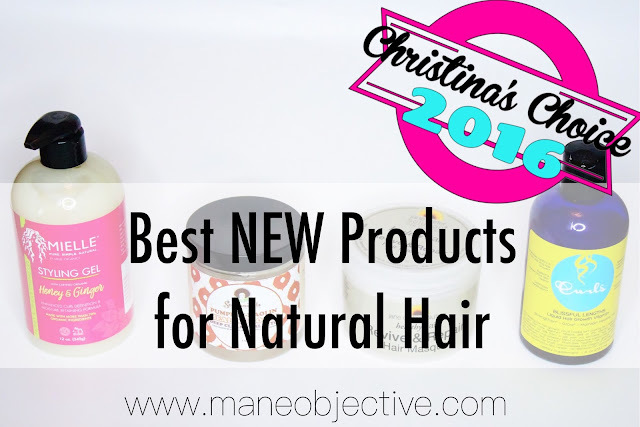 The best NEW products to splurge on this year! A new category! Yep, that's right! 2016 was full of surprise releases, game changers, seasonal must-haves, and more. But what new drops are really worth the dough? That's what this category is dedicated to! I decided to swap this category with last year's Best Treatments for Damaged Hair. The truth is, my hair is a lot less damaged this year - due in part to patience and growth. The other part is, a good curly cut. That said, there's no difference in the products I used last year and this year. Roux, 180PRO and ApHogee were all still in rotation this year. 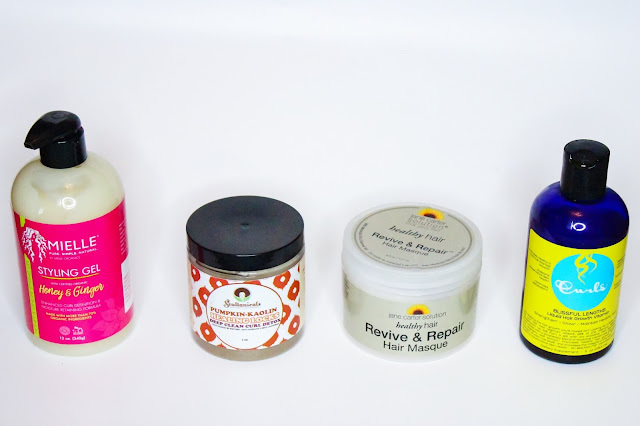 So if you need more deets, click here to read all about those three products and their unique properties in helping me on my journey back to healthy hair. All awesome products, in their own right. I hate this phrase, but in this case it's true - Mielle Organics literally broke the internet with the drop of their new styling gel. The morning I saw the e-mail announcement, I didn't hesitate to order 2 bottles before even brushing my teeth. I'm glad I didn't sleep on this gel, because even though it's different - it's pretty darn excellent. I'm still doing a little bit of tinkering with it to figure out how to absolutely maximize my results, but so far I love the gel. The ingredients are stellar, it mixes with tons of leave-ins, doesn't flake, or get all ramen noodley. The shine is epic, and the fragrance is amazing. Stay tuned for my full review and a demo - it's dropping this week! Soultanicals slays on a seasonal basis, so this is no surprise. I was first introduced to this jar of pumpkin perfection via one of their fall Target promos - you know, the ones I kept telling y'all to take advantage of. In this particular promo, I got to pick a free product - so I went out on a limb and chose the Pumpkin Kaolin. And boy, was I thrilled I did. From the pumpkin rooter to the clay tooter, this stuff is excellence, jarsonified. Whether you use it as a cleanser or special treatment, your curls are guaranteed to pop with softness, shine, and frizz-free definition. It's better than my DIY Mud Rinse. I humbly acquiesce to Ayo - her creation is superior to mine in every way. So much so, that even though I vowed to be disciplined on Black Friday, I ordered 2 for good measure. I sincerely hope she doesn't limit this to the cold months and offers it year-round. I need my pumpkin fix! The internet broke again when CURLS decided to shift the paradigm in the hair vitamin game. Up until this point, the hair vitamin heavy hitters had all come in pill form. CURLS really and truly changed the game with their Blissful Lengths Liquid Hair Growth Vitamin - giving naturalistas who don't do well with pills the opportunity to get their vitamins in a different way, while supplement aficionados like myself just got a thrill out of something new. But beyond the thrill of "Ooh! Shiny and new! ", I must say, I'm thoroughly enjoying my experience with the Blissful Lengths Liquid Hair Growth Vitamin. It's easy to take, tastes pretty good, and works! That last part? The part that it works? YEPPPPP. Well since I get to be on a deserted island with shampoo, deep conditioner, a leave-in, moisturizer, and styler - my regimen is just missing a healthful boos lol! All kidding aside, I rock heavy with the Blissful Lengths Liquid Hair Growth Vitamin. I love it when brands strike out and do something different. In this case, CURLS went out on a limb and it paid off big time. I'm not sure what other bloggers are saying about Blissful Lengths, but for me the proof is always in the pudding. My hair is growing above normal rate, and is regaining fullness. I'm a happy camper at the top of 2017, thanks to this blue bottle! Well peeps, this concludes the Christina's Choice 2016 awards! Thanks for rocking with me while I hammered these out! What'd ya think? Any surprise victories? Upsets? Snubs? Let me know in the comments below! Review all the Christina's Choice 2016 pick here! ❤️️ The lists keep 'me coming! Let's talk about the Pumpkin mask....❤️️Soultanicals I ❤️️The fall spicy warm scent and the the smooth texture is to die for but honey your Clay mask recipe with the Molasses( I add AVJ too) leaves my hair smoother curls softer and well just curls popping and hanging for days! I think I might just blend the two to get that luscious fragrance! Can't wait for your take on the MO gel cuz I grabbed 2 bottles but haven't tried it yet! That Mielle gel is pretty amazing. I use it with the SheaMoisture Detangler Low Porosity leave-in. It also re-applies really well, I use a drop of it daily to squeeze through my hair. It serves as a good refresher, with absolutely no buildup. How in the world did they create a buildup, flake free gel? I have about 5 bottles in my stash...lol. , wait 15 minutes and then wash. Your hair will be fully nourished. I like your posts about hair, especially when you recommend products you use. I know that they are tested by you and you will not suggest something bad.